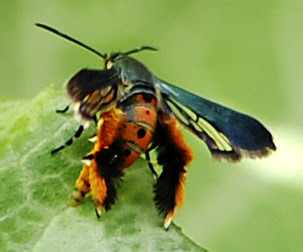 The squash vine borer (Melittia cucurbitae) is a diurnal species of sesiid moth. 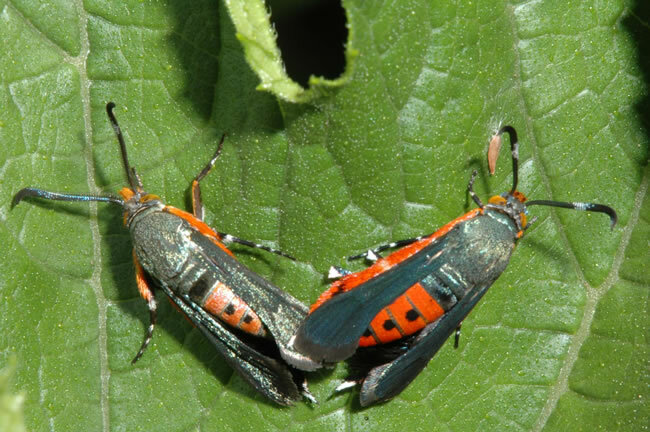 It is a pest that attacks wild and cultivated varieties of squash. 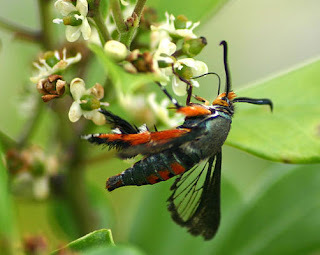 The moth is often mistaken for a bee or wasp because of its movements, and the bright orange hindleg scales. The females typically lay their eggs at the base of leaf stalks, and the caterpillars develop and feed inside the stalk, eventually killing the leaf. They soon migrate to the main stem, and with enough feeding damage to the stem, the entire plant may die. The squash vine borer lives in most temperate North American states, except the Pacific coast. 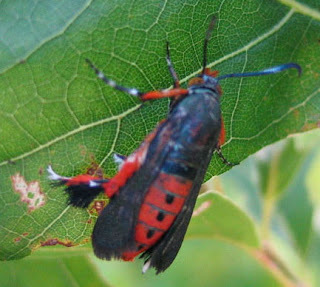 Southern states have two broods a year of the borer.